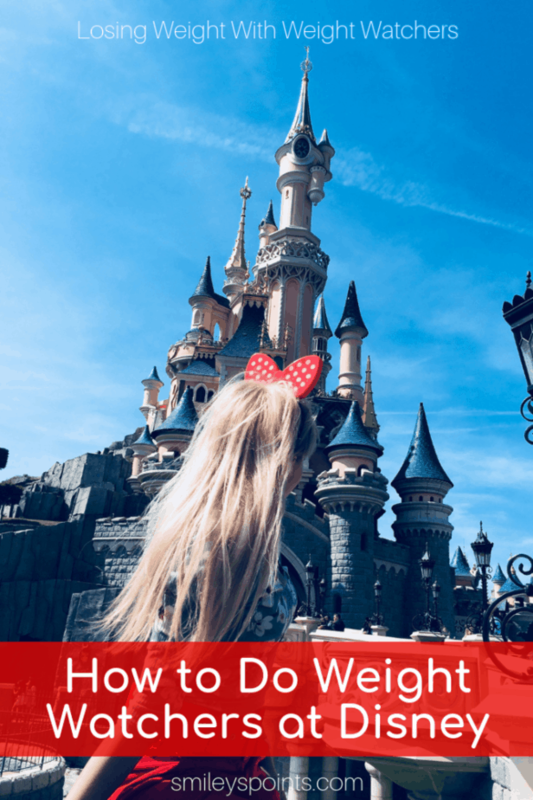 I just recently visited Disneyland in beautiful Anaheim, California and wanted to share how to stay on track, do Weight Watchers and enjoy the meal selection. You are on vacation have fun, but remember you have long term goals. I know I do. 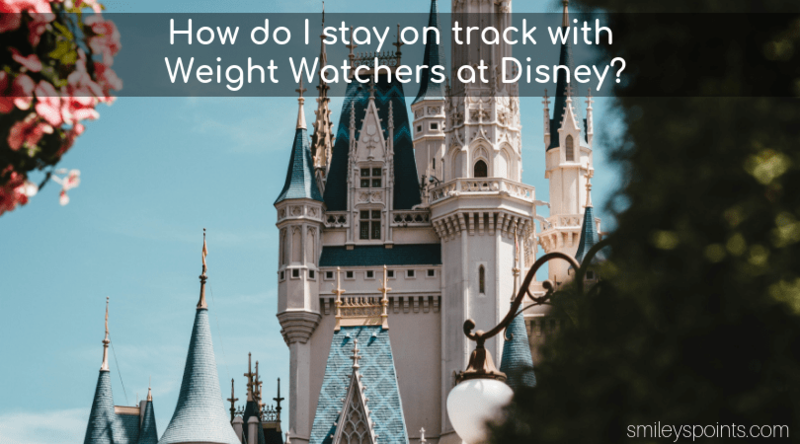 So, let’s talk about how to do Weight Watchers at Disney! You know you’re going to get your 10,000 (plus!) steps in, so don’t be too hard on yourself if you can’t find low point options – or you want to indulge in some ice cream. Think high protein low carb and you’ll be well on your way to staying on track with Weight Watchers while you’re out and about. Pssst… here are some tips for getting your 10K steps in on days you aren’t walking a million steps at Disney. Enjoy your vacation but keep your New Years resolution to lose weight and be healthier at the same time. I look at Weight Watchers as a way to eat for a lifetime not a diet. So I am always looking for ways to eat right, count points and continue to lose weight while I enjoy my life. I also love sharing these ideas with you guys so if you have any comments please let me know. Want more information or have a question? Let me know! I share my journey with you and provide information to help all of us obtain our goals and enjoy our lives. So let’s get to it! There are roughly 40 restaurants and over 110 places to eat at Disneyland, (I don’t know the exact number of establishments serving food but counting the fruit and soda stands…. whew, it’s a lot! ), here are a few of the restaurants and the ways you can use your points and still stay on track. I will not put point values as they can change their recipes but here are a few options to help keep you going. Lunch and dinner is served here. Citrus Fire-grilled Chicken substitute black beans for the refried beans and forgo the rice. Cauliflower TacosHacienda Caesar Salad this is my favorite one there are three different salads to choose from currently. Bring your own dressings for the salads and enjoy. Were you wondering about dessert? They serve a delicious fruit cup that hits the spot. BBQ Tofu is an excellent option here. The only change I would make is to not eat the baked beans. This is just a change I would make for me. Beef Short Ribs I substitute fresh fruit for the mashed potatoes..fruit goes surprisingly well with the ribs. I would visit a fruit stand for dessert. A snack place try the skewers the vegetable one is to die for. Still hungry, realize you need more than a snack, Bengal has you covered. Check out the Hummus Trio in extra provisions. A great companion to the skewers. Need a quick snack? Want a pick me up? Stop by a fruit cart and enjoy the fresh pickings. There are several carts throughout the park. If you are tracking your steps, and you should be, find the next nearest one and get your walk on as well. A little exercise while on vaca and a healthy snack. We are well on our way to that lifetime goal and a healthier body. We can even do this on vacation and have fun. Here is a salad you cant go wrong with. Super yummy and low points too! They also have an allergy friendly menu. Turkey Caesar Wrap No fries opt for the slaw on the side. Fisherman’s Salad An awesome salad bring your vinaigrette dressing for this one. Lunch time look no further Caprese or Carrots, Grapes & Cheese with Pretzels They also have Coffee blends iced or hot so break out your coconut or almond milk and enjoy. Here you can get your omelets made to order. they have an assortment of fountain beverages and coffee regular or decaf. Chipotle-Pineapple Glazed Salmon a delicious dinner choice that will have you feeling full and content without straying off track for your weight loss goals. Chopped salad again bring your dressing for this one. There are plenty more options available to you once you are visiting Disneyland these are just a few suggestions I have and what worked for me while I was there. The best advice I can give is to always remember your goals and have fun while on vacation. We only get to live once let’s be the absolute best we can be for ourselves and our families!